I loved Katie’s first two Brightside novels, and was so pleased to get this third one for review. Its another great read, funny at times, tear-jerking at others – right up my street. Here we really get to know her, and I so understood her. She’s just like me in always lacking confidence, second guessing herself and what’s she’s done. Oh how many times I do that….especially when its something that needs a response from the other person, and then when it doesn’t come quickly, like Boots I’m thinking what did I do wrong, did i say the wrong thing? Indicate that? and why did I ever think to do that in the first place? Yep, her mind rambles were so so familiar and I loved her. He’s a gorgeous guy though and I grew to love him, though I wanted to shake him a few times….He was a bit or a jerk a couple of times but when I knew more I understood why, and his reaction was reasonable given what he thought had happened. Amanda is maid of honour at Liv’s wedding, one held in top secret to avoid all the publicity, Mark is Berkelely’s best man. She’s got a short time before her career picks up on its next time sucking interlude to life. When she’s in Doc training everything else takes a backseat, its literally work – eat- nap-work- eat-nap-work-eat and maybe this time an actual sleep. A little side rant here….What we put docs in training through is crazy, sleep deprived and making life changing decisions. When I was having my chemo years ago the doc on call all weekend was like Amanda, hoping to further her career, training for the next leg, and I met her Fri pm, by Sunday pm she was still working, giving me an unusual cocktail of chemo drugs after having been shown the routine in just a few quick minutes on Fri, she then had to remember it all ready for Sat. on little or no sleep, and again on Sunday….Sat she flushed through a litre of saline, usually they’d only do about 100-200ml, as the chemo nurse had stressed she wasn’t to let the two drugs mix at all, and she said to me “ good job you’re not an 80 yr old lady,doing that would have probably killed you “ 🙂 We were joking about it but she was really scared, really tired, really stressed and yet the only one there able to give me the drugs to save my life. #NotGood But it meant I really understood Boots and the pressure she was under, from her parents, her work, herself. So a great couple of lead characters, snippets of all the old gang, loved Psychic mum 🙂 and was great to see them all brought into the story. Its a very different feel read from Liv’s story, and Mark and Boots are more off that on. They get together in Africa, and its a steamingly sensual couple of days, but then Boots isn’t sure if she’s time for romance with her residency coming up, Mark isn’t sure he wants more, they’re both really scared in a way, and manage to part as friends when its clear to reader they could have much more. Mark seems to me to be kind of uncertain of what he wants, in a way he wants what Berkeley and Liv have, but though he thinks Boots could be his Liv he’s not sure he’s ready for that yet – well, that’s how he feels to me. Others may put a different interpretation on his actions. Boots has been so set on being a doc since she was 13 she’s not letting anything stand in her way, and though inside she wants more with Mark she’s scared it’ll take up too much of her life, and she’ll fail at the doc thing she’s so focussed on. Her parents don’t help, her doctor father clearly puts pressure on her, reminds her constantly it seems, not to let anything affect her focus. She’s also telling herself what would a big star like Mark want with her, a plain, ordinary person, when he could have anyone? She thinks the only thing that makes her interesting is being a doc, and she just can’t see how much more to her there is, how special she is. When she looks at pics of Mark in the past with all the gorgeous, stunningly attractive ladies she feels unworthy, and she feels that there are ladies like that who fit in to his life so much better. I really enjoyed that almost-together-and-then-another-setback feel that the middle section had. I so understood Boots and how she felt, loved the secondary characters that played a strong part in the story ( mama Rosie – great lady), loved Mark – even when I wanted to slop him! and of course the snippets we got of Liv and Berkeley. 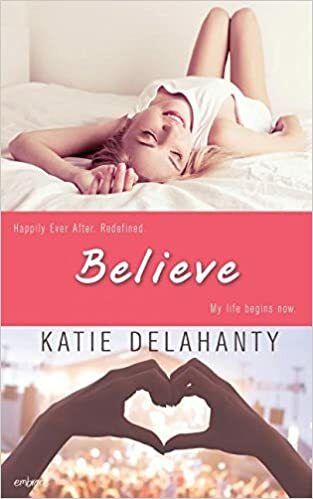 Its another great read, and so often with this sort of connected novel the subsequent ones really just mirror the first, become a sort of pastel facsimile, but Katie’s given this a really fresh feel, very different to Liv and Berkeley’s stories, and yet still kept the characters and humour true to those books. Stars: Five, a lovely feel-good read, full of emotion.